Check-in: Reliable, fast baggage check-in, even at peak times. 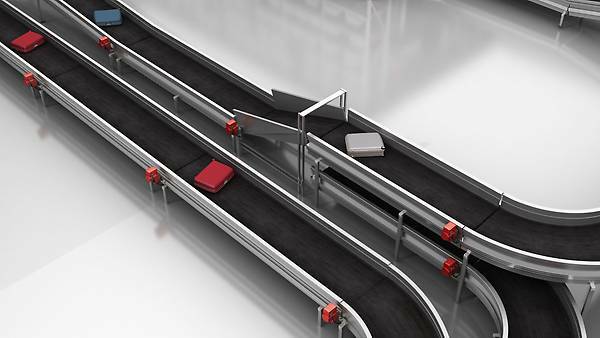 Baggage reaches its destination on time with high-speed conveyors. 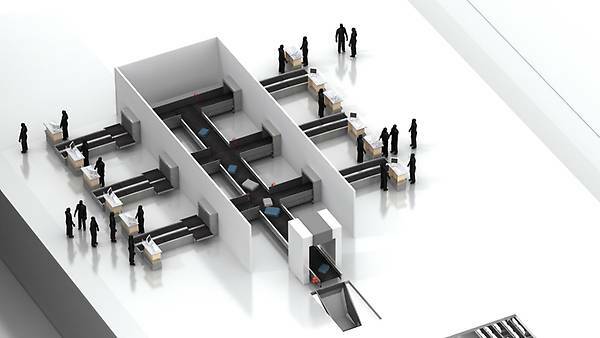 Sorter systems for high-precision organization of baggage. If you want to experience the world of innovative drive technology live, we’ll tell you where and when! Come and visit SEW-EURODRIVE from March 14 to March 16, 2016 at the Passenger Terminal Expo in Amsterdam. Be our guest in hall 8 at booth 11130. Find out more about our reference at Gatwick airport in London. Find out more about our reference at Helsinki Airport. 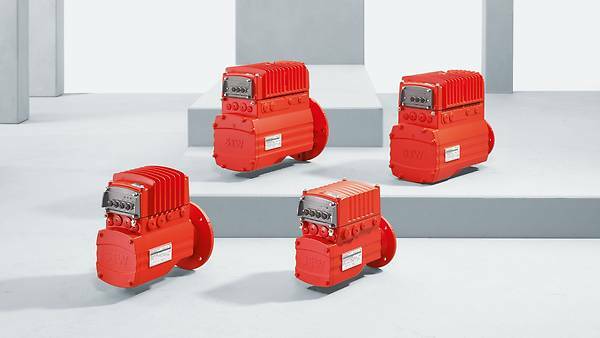 With the MOVIGEAR® mechatronic drive system, we set entirely new standards for efficiency and functionality. MOVIGEAR® combines motor, gear unit, and corresponding drive electronics in one system. 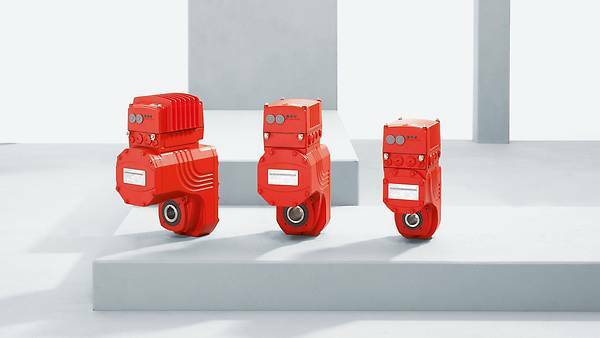 The DRC.. electronic motor expands our portfolio of mechatronic drive systems for decentralized applications and offers you a highly efficient solution with maximum flexibility for tasks that extend well beyond conventional materials handling drive tasks. Every passenger is familiar with the process: the bag is lifted onto the conveyor, weighed, and labeled. An in-feed conveyor belt brings the bag to a free spot on the baggage collection conveyor belt and it is sent for handling. Drives must be highly efficient, quiet, and fail-safe to complete this task. Transit baggage needs to be moved form one terminal to another as quickly and safely as possible. Our mobile conveying systems with contactless energy transfer are wear-free, and provide great transport availability and safety. Baggage sorters are true high-performance systems. 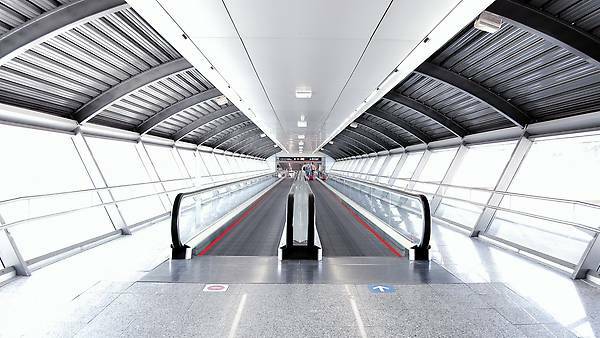 They gently and accurately convey baggage at high speed to the right destination and are perfectly supported by our highly dynamic, intelligent, and efficient linear drives. Discover more: Everything worth knowing about exhibitors, events, ticket service and much more can be found on the official website of the PTE 2017.